New York based rapper and producer, Le1f, is making huge strides with his ambitious new mixtape. 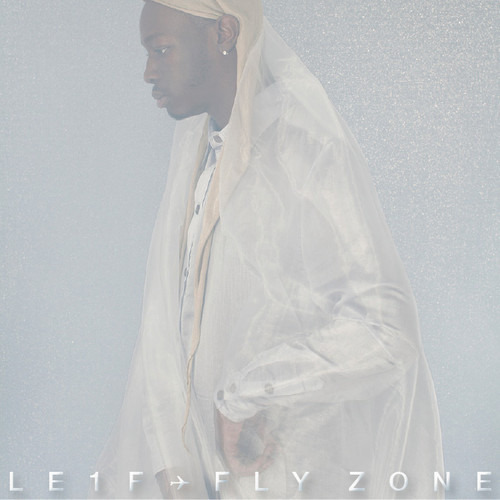 Fly Zone was released on January 28 through Greedhead and Camp &Street, a side-label of Palms Out that Le1f runs himself. The mixtape features 13 tracks, all by different producers, that are guaranteed to knock. Heavy 808's, lofty synthesizers, and thundering basses are at the the core of the Fly Zone. Le1f's frothy voice spits out swift lyrics, many of which relate to the aeronautical theme of the mixtape. But why runways and airplanes? Perhaps it has something to do with the notion of taking off and rising above the worn out conventions of mainstream rap. As we prepare for departure, please fasten your seat belts, return your tray tables and seat backs to their full upright positions, and let Le1f take you high.